As Anne is off gallivanting around the countryside, today’s advent treat is another giveaway. I know that many of you have remarked on Anne’s bracelets and bangles in the past, as she often tries to wear a ‘book bangle’ particularly if she is talking about reading! 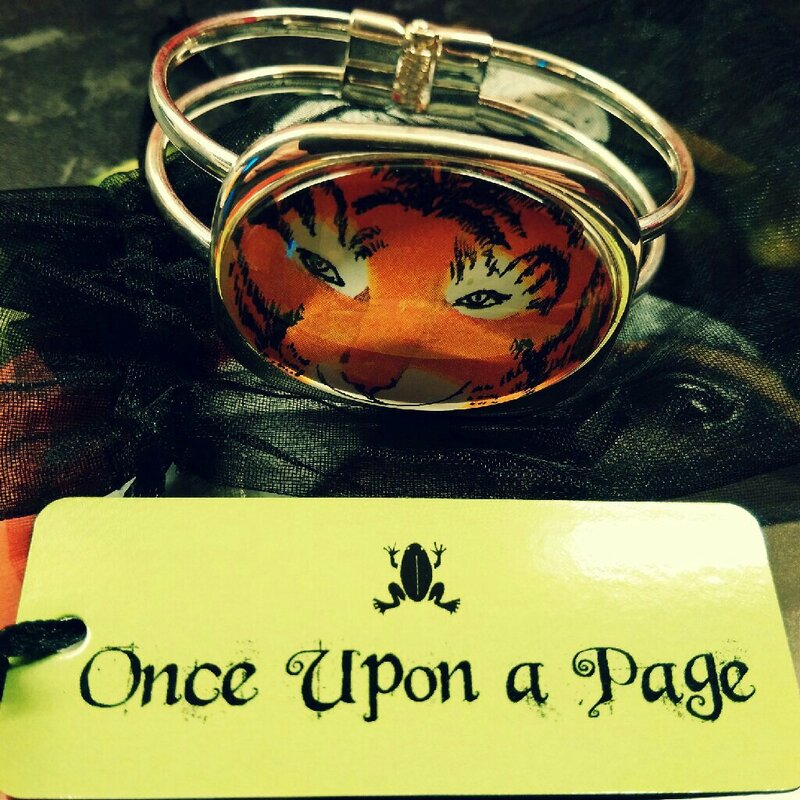 Here is a picture of the aforementioned ‘book bangle’ – no prizes for guessing what book it is based on! 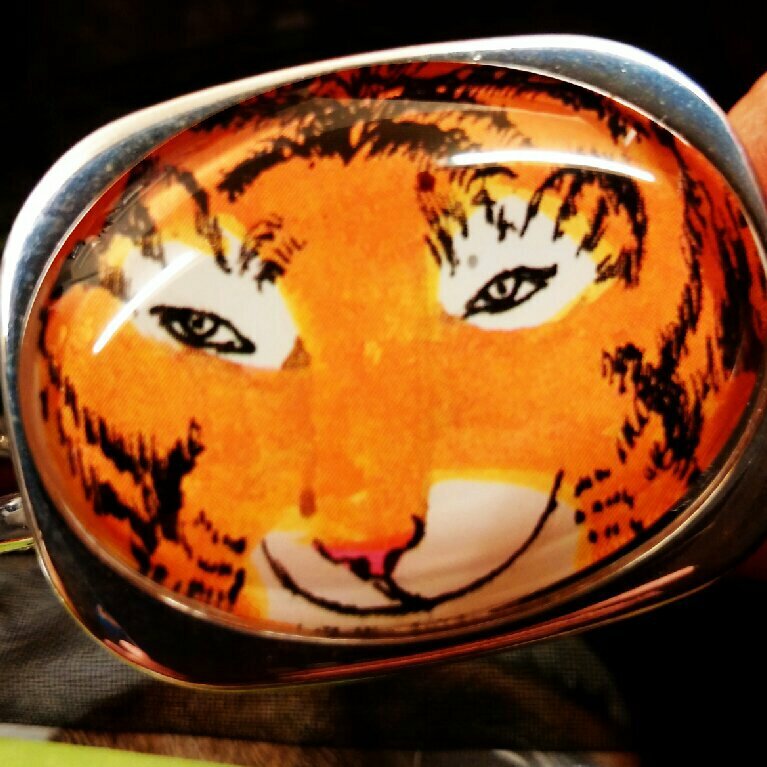 It is silver plated spring bangle with a fabulous glass cabochon of the Tiger himself. This would of course, make a very pretty present for someone, as it has a little tag and gift bag – but it would be even better as a treat for yourself! Simply tell us in the comments below, on FB, or on Twitter (@thelearningzoo or @anneglennie), what is your all-time favourite #childhoodbook ? My favourite childhood book is Charlotte’s Web. I still love reading it with the children I teach today. It’s a beautiful story of friendship. My all time favourite book from my childhood is Little Women. I got it for my 7th birthday and couldn’t put it down. I now have a lot of different copies from around the world and even on my kindle! I always read it in the lead up to Christmas as it reminds me so much to appreciate what we have. My favourite book asides from the numerous Famous Five and Secret Seven novels I had, was Judith Kerr’s ‘When Hitler Stole Pink Rabbit’. An amazing story of adventure and survival in a horrific time. I’m ever thankful to my Year 3 teacher who encouraged me to read books other than those written by Enid Blyton! Hello everyone, Jeffrey here! Sorry for the delay, but I am pleased to announce that tonight’s winner is Laura Hay! Congratulations Laura, please send me an email to hello@thelearningzoo.co.uk with your address. Thanks to all for your comments on the blog and on twitter, I know Anne will respond to them when she gets home tomorrow and normal service is resumed. Nighty night, Jeffrey X (the exhausted giraffe).